Genuine Mazda2 Illuminated Scuff Plates. 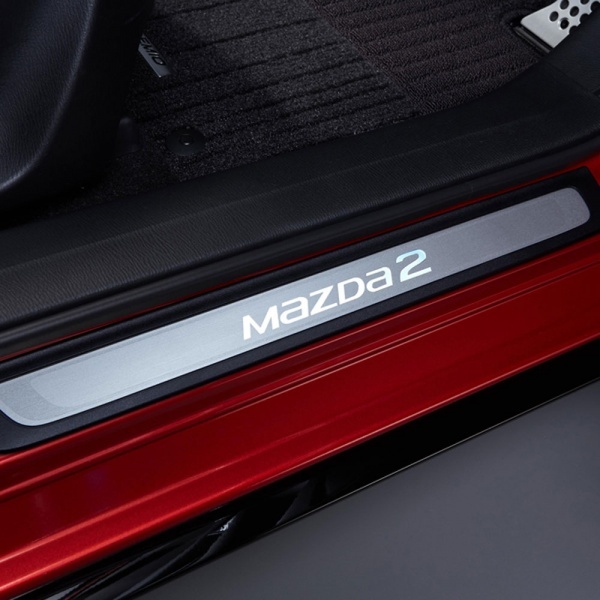 Protect your Mazda2 and add a touch of style with our 2 piece scuff guards. These are silver with a black frame and features an illuminated white Mazda2 logo - battery type.